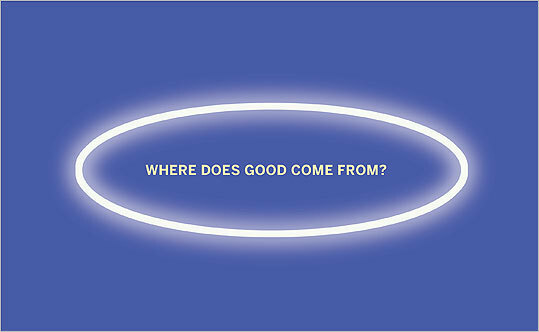 Where does good come from? Wilson is 81, an age at which he could be forgiven for retreating to a farm and lending his name to the occasional popular book about science. Over the past year he’s tried his hand at fiction writing, publishing a novel about ants — his scientific specialty — and landing a short story in The New Yorker. But he has also been pressing a disruptive scientific idea, one he reckons is currently in phase two of the Schopenhauer progression: outrage. What Wilson is trying to do, late in his influential career, is nothing less than overturn a central plank of established evolutionary theory: the origins of altruism. His position is provoking ferocious criticism from other scientists. Last month, the leading scientific journal Nature published five strongly worded letters saying, more or less, that Wilson has misunderstood the theory of evolution and generally doesn’t know what he’s talking about. One of these carried the signatures of an eye-popping 137 scientists, including two of Wilson’s colleagues at Harvard. His new argument, in a nutshell, amounts to a frontal attack on long-accepted ideas about one of the great mysteries of evolution: why one creature would ever help another at its own expense. Natural selection means that the fittest pass down their genes to the next generation, and every organism would seem to have an overwhelming incentive to survive and reproduce. Yet, strangely, self-sacrifice exists in the natural world, even though it would seem to put individual organisms at an evolutionary disadvantage: The squirrel that lets out a cry to warn of a nearby predator is necessarily putting itself in danger. How could genes that lead to such behavior persist in a population over time? It’s a question that bedeviled even Charles Darwin, who considered altruism a serious challenge to his theory of evolution. The puzzle of altruism is more than just a technical curiosity for evolutionary theorists. It amounts to a high-stakes inquiry into the nature of good. By identifying the mechanisms through which altruism and other advanced social behaviors have evolved in all kinds of living creatures — like ants, wasps, termites, and mole rats — we stand to gain a better understanding of the human race, and the evolutionary processes that helped us develop the capacity for collaboration, loyalty, and even morality. Figure out where altruism comes from, you might say, and you’ve figured out the magic ingredient that makes human civilization the wondrous, complex thing that it is. And perhaps this is the reason that the debate between Wilson and his critics, actually somewhat esoteric in substance, has become so heated. The currently accepted explanation for altruism is something known as kin selection theory. It says that an organism trying to pass its genes down to future generations can do so indirectly, by helping a relative to survive and procreate. Your brother, for example, shares roughly half your genes. And so, by the dispassionate logic of evolution, helping him produce offspring is half as good for you as producing your own. Thus, acting altruistically towards someone with whom you share genetic material does not really constitute self-sacrifice: It’s just a different way of promoting your own genes. Wilson was one of the original champions of kin selection theory, but 40 years later, he is calling it a “gimmick,” and is imploring his colleagues to give it up. Wilson’s recent about-face on kin selection has stunned the scientific world in part because Wilson was personally responsible for the almost universal embrace of the idea in the first place. While he didn’t come up with the theory, he is often credited with discovering William Hamilton, the graduate student who did, and convincing the scientific community that the young man was onto something big. Wilson’s initial encounter with Hamilton’s theory of kin selection is famous among biologists: The story goes that he read Hamilton’s paper, which had been published in a not-very-widely-read journal of theoretical biology, on a long train ride from Boston to Miami in 1965. He approached it with skepticism: According to a 1999 story in the magazine Lingua Franca, he was agitated by the notion that some unknown upstart seemed to have solved a puzzle that had eluded him and the rest of the profession for so long. But by the time he stepped out of the train in Miami, he was thoroughly won over by the paper’s logic and prepared to go out into the world as an evangelist. “I was enchanted,” Wilson said. For Wilson to reject kin selection this late in his career has bewildered his many admirers. “It’s sad — he’s already an enormously famous and respected scientist, and it just sort of tarnishes him in people’s eyes,” said Jerry Coyne, the University of Chicago biologist who has written disapprovingly of Wilson’s latest work on his blog. Yet Wilson said he doesn’t have a choice in the matter. “I think that’d be a pretty poor scientist, who couldn’t reverse his view from new evidence,” he said. Though Wilson has been making his case for several years, it wasn’t until the publication of last summer’s paper in Nature that defenders of kin selection were inspired to formally respond. What has really fired people up about the paper is the assertion that the mathematical equation underlying Hamilton’s theory does not work, and that attempts to use it over the past four decades to explain the natural world have produced “meagre” results. That’s exactly the problem, according to Nowak, whose new book, “SuperCooperators,” co-written with Roger Highfield, summarizes his work as a mathematician on the origins of advanced social behavior. “They don’t know what they’re arguing against,” Nowak said recently at his office, where an oversize print of the Nature cover hangs on the wall. Specifically, Nowak explained, the critics don’t understand the math, and moreover, they don’t realize that the math is the most important part. To understand what Nowak is talking about, one must take note of the long online-only appendix that accompanied the Nature paper. In that appendix, one finds a highly technical argument that the equations underlying kin selection theory can’t be used to explain the natural world. “You want to calculate under which conditions natural selection favors the evolution of cooperation, and under which conditions it doesn’t,” Nowak explained. The equations associated with Hamilton’s theory of kin selection, he argues, don’t answer this question. The problem, according to Nowak, is that critics are seeing the Nature paper as part of Wilson’s campaign rather than a separate, essentially mathematical argument. And it’s Nowak’s belief that many of the people who signed letters disputing his paper have never actually done the math. Wilson is not arguing that members of certain species don’t sacrifice themselves for the benefit of their relatives. They do. But it’s his position that kinship and relatedness aren’t essential in causing the development of advanced social behaviors like altruism — that the reason such behaviors catch on is that they’re evolutionarily advantageous on a group level. That socially advanced organisms end up favoring their kin, Wilson argues, is a byproduct of their group membership, not the cause. “It’s a question of which is the cart and which is the horse,” said Peter Nonacs, a UCLA biologist who shares Wilson’s sense that relatedness and advanced social behavior are not as intimately linked as most scientists think. The last time Wilson found himself embroiled in controversy as scalding as the current one was after the publication of his book “Sociobiology: The New Synthesis” in 1975. In that landmark book, he made an argument about the power of genetics, demonstrating how all manner of social behaviors observed in insects and animals could be seen as the result of natural selection. What landed Wilson in trouble was the last chapter, in which he extended his argument to humans. That chapter thrust Wilson into a long and loaded debate over how much our genetic heritage — as opposed to, say, culture — has shaped our behavior. Amid the outcry over “Sociobiology,” Wilson was pilloried by critics on the left as an agent of biological determinism and racist science. Protestors once interrupted Wilson while he was speaking at a science conference and poured a glass of water on his head. Wilson will elaborate on this view in his next project, a book he’s tentatively calling “The Social Conquest of Earth,” which he said will be published by W. W. Norton next year. In it, he said, he will explain how socially advanced species have come to dominate the earth, and will lay out a “reexamination of human evolution” informed by his recent turn towards group selection. Those who bristle at the notion that all altruistic behavior can be recast, via kin selection, as being indirectly self-interested — those who would like to think there’s room in nature for a more genuine form of altruism — may find it appealing.